Despite writing columns on architecture for Latest Homes for well over two years, I have not written about the Royal Pavilion once – possibly due to holding out for the right moment. And now, three moments have arrived at once. The Royal Pavilion is the world famous jewel in Brighton’s Regency crown. Lovingly built by the Prince Regent (later King George IV) as his hedonistic palace of pleasure, it never fails to amaze visitors and locals alike. The main routes on the public tours offer much but now, as an even bigger treat, it is possible to see some of the hidden areas on two tours called ‘Basement to Bottle’ (more of the ‘Bottle’ later) and ‘Behind the Scenes’. It’s fairly safe to say that Louise Hume has one of the most desirable jobs in Brighton. With passion and knowledge, she began my private tour with a walk along the servants’ tunnels by the Great Kitchen. Running along the length of the building, the tunnels allowed servants, up to 200 at a time at banquets, to carry out their duties efficiently, quietly and, perhaps most importantly, out of sight. I then learnt that a door, invisible to the casual eye, opens between the famous Music Room and a musicians’ room behind. 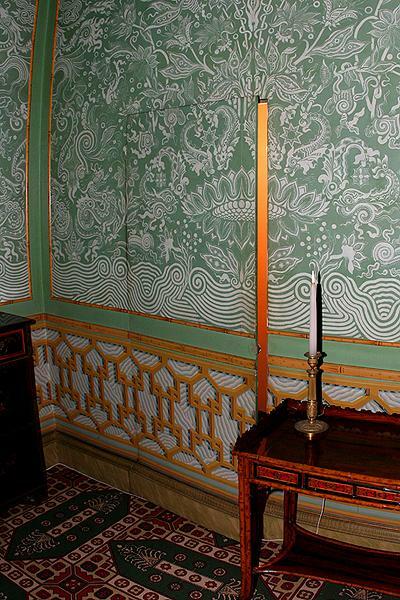 Similarly, a door hidden in the ornately-painted walls beside the bed in the King’s Apartments leads to a staircase and on to the floors above. The door, again, is completely invisible. Much work went on out of view in the Pavilion of yesteryear – much as it does today. My own interest in the subterranean is no secret to regular readers so I was particularly looking forward to the tunnel to the nearby Dome (which was originally the Pavilion’s stables). The tunnel was built in around 1822 and allowed the King to travel easily and discretely to his horses. 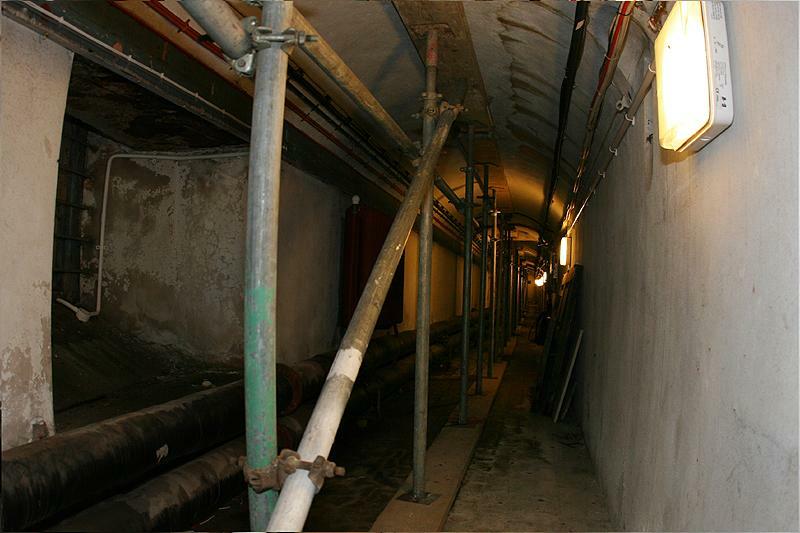 The secret passages and tunnel were fascinating enough but there’s more to come – overt the coming weeks I will be writing about the inside of the main dome along with my walk over the Pavilion’s magnificent roof. I’m still amazed at how many locals have not seen around the Royal Pavilion. There’s no logical reason for this and that’s before even considering the discounts for locals during the winter. I’m digressing though! For information on the special tours go to www.royalpavilion.org.uk, e-mail visitor.services@brighton-hove.gov.uk or call 01273 292820. No excuses!